NATICK (CBS) – Security is tight and doors are locked at Bennett Hemenway Elementary School in Natick. “Before they could open the two main doors and go inside, but now all four doors are locked,” Principal Ian Kelly said. The school also just installed a new monitoring camera that informs the main office who is at the door. 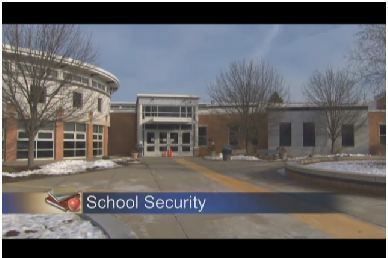 The total cost for the security system for all the elementary schools was $100,000. The middle and high schools already had the proper security systems in place. “I am very happy to see this. I have no problem with it. I think anything to secure the schools for the safety of our kids is really important,” parent Ariane McEvan said. Prior to the new security, Kelly made the front lobby his office in light of the Newtown tragedy. “Now I can monitor from inside my office so it’s business as normal as it can be,”Kelly said. School officials in Sudbury are also looking to install a similar security system, including new door locks and buzzers thanks to an anonymous donor willing to fund the costs for all four elementary schools. “The time is immediate. It’s essential because these are non-budgeted items we don’t anticipate so if we didn’t have this support, we would have to identify places in the budget to take it from,” Sudbury School Committee Chairman Rich Robison said.